Fees associated with filing trademark applications in Chile, as well as other trademark fees, are available in the fee calculator. 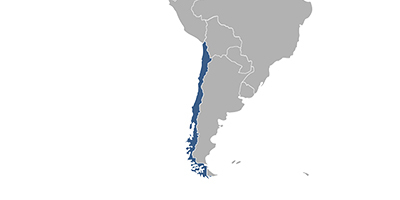 Multiple-class trademark applications are possible in Chile. The original Power of Attorney must be submitted. It may be provided later, within 60 days from the date of filing an application for trademark registration in Chile. The priority document translated into Spanish must be submitted in Chilean trademark office within 30 days from the date of filing. The opposition period against the Chilean trademark application is 30 working days from the publication of a trademark application. The validity term of a trademark in Chile is ten years from registration. Trademark registration renewal may be requested during the validity term or within six months after expiry with payment of a surcharge per month or a part of month after the first month following the expiration. There is no cancellation based on use requirement stipulated in the Chilean trademark legislation. For foreigners it is necessary to appoint an agent, a registered Chilean trademark attorney, to perform the trademark prosecution in Chile. All distinctive and graphically representable signs as well as sound marks and slogans. Trademarks, service marks, word mark, word label, label slogan, industrial establishment and commercial establishment are registrable as a trademark in Chile. Online database for Chilean Trademarks Search.